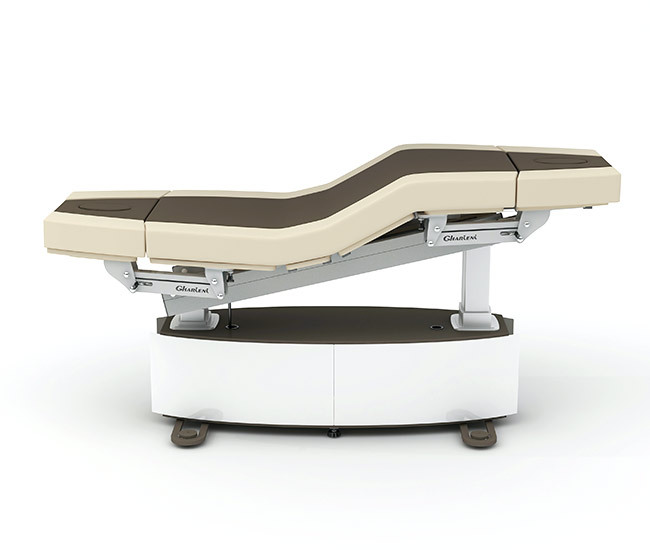 With the MLX Limber series, Gharieni has started the next generation of treatment tables. Incredibly flexible, it works in many positions. 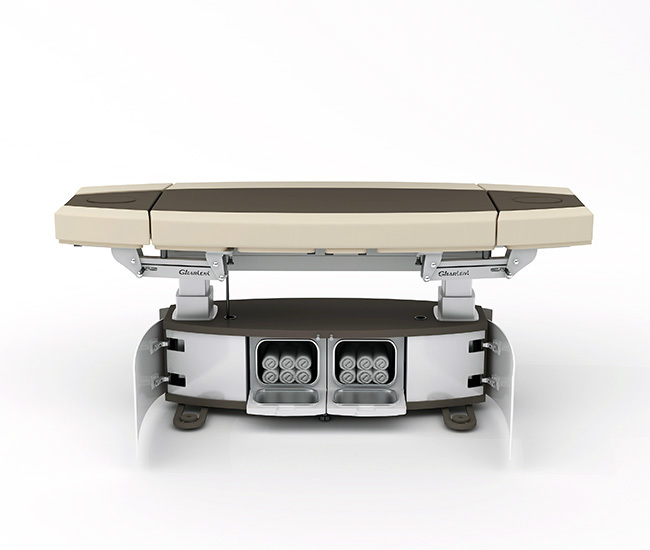 With its three models, the Limber offers the right table for every need: from classical massage treatment to special treatments. The “Limber Flex”, the star among the three Limber versions, offers an infinite number of adjustment possibilities. 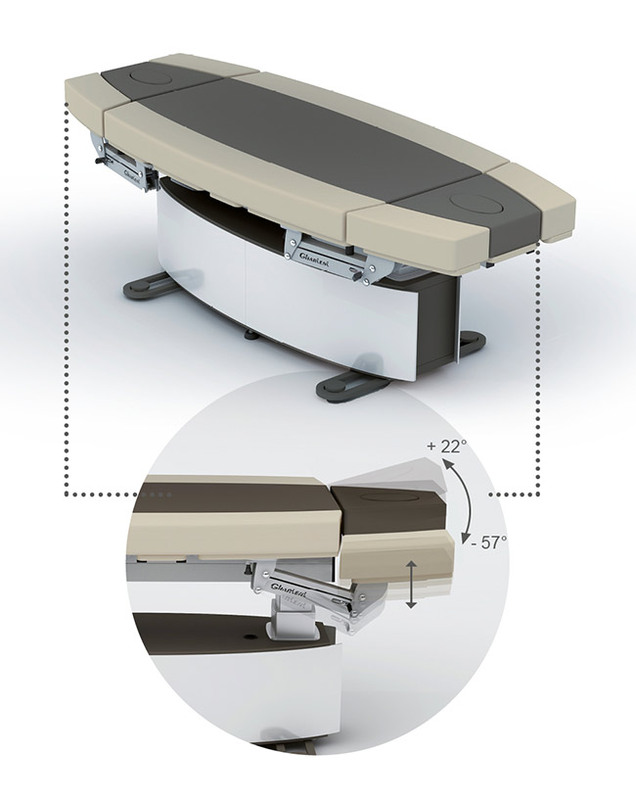 This setting is possible because of the patented armrest pairs, which can be lowered on both sides. 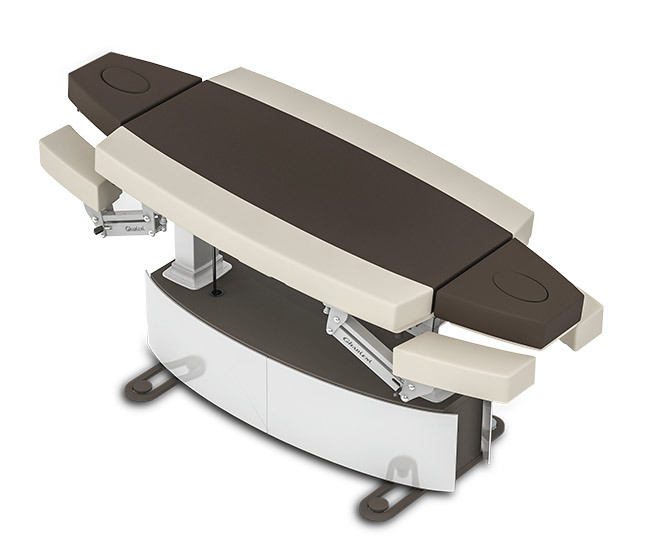 The MLX Limber is usable on both sides and becomes a multifunctional device of unrivaled flexibility, which opens up new dimensions of treatments. 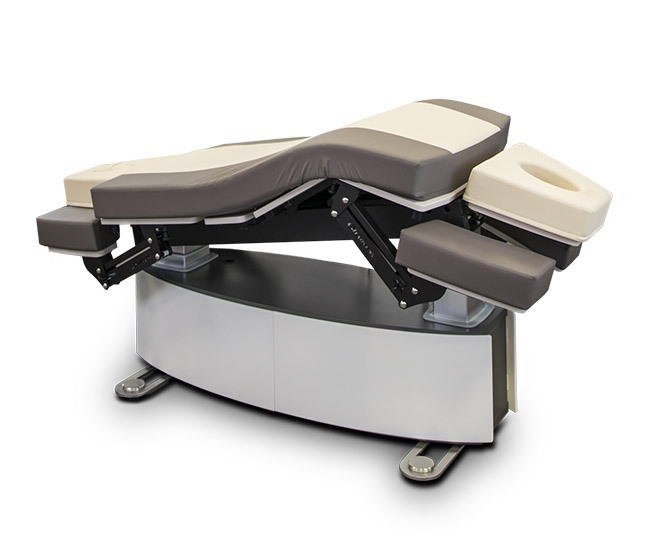 The Limber flex is equipped with fully adjustable arm- and headrests on both ends of the treatment table. This allows greater therapist mobility and reach. 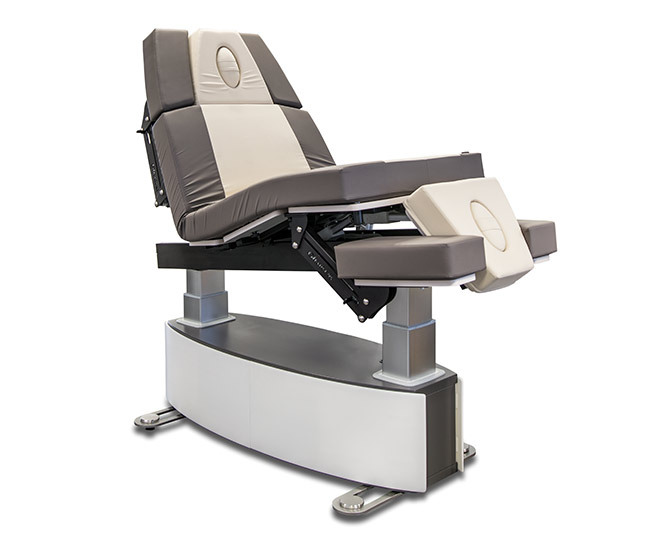 The Limber Pro is equipped with fully adjustable arm- and headrests. 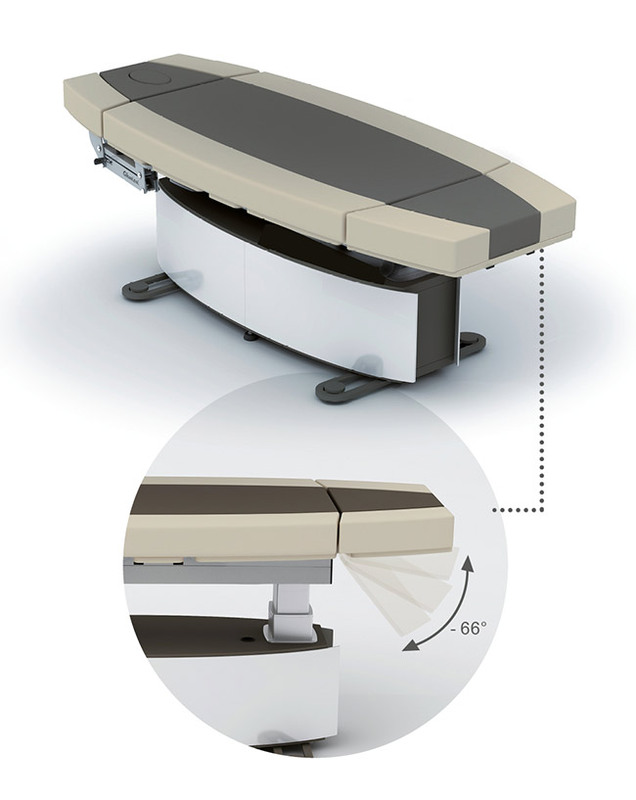 The footrest can incline fully to allow feet to be in a pedicure position. 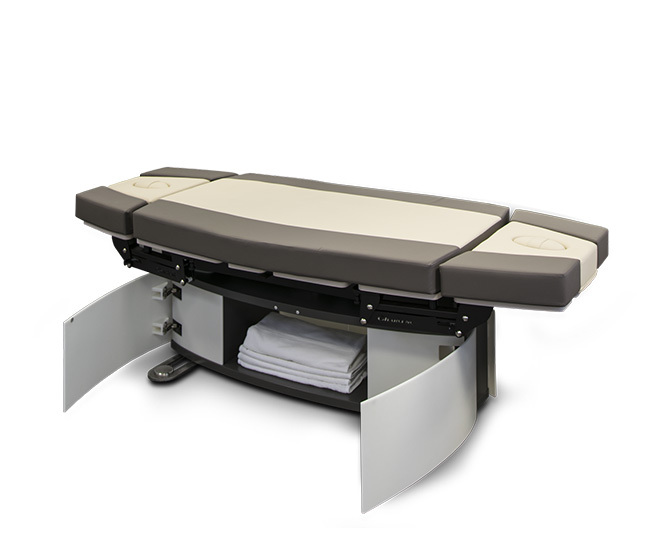 The Limber Classic is equipped with fully adjustable arm- and headrests which makes it ideal as a dual massage/facial bed. A removable face cushion a frontal supine position for massages.